1. Begin by heating 1 tbsp of olive oil over medium high heat. Sear salmon 3 minutes on each side, cooked to about medium rare. 2. Remove from heat. Allow to cool enough to handle. 3. Chop salmon and put into large mixing bowl with Worcestershire sauce, lemon juice, mustard, garlic, salt and pepper. Using hands, knead the ingredients together. Slowly add in bread crumbs, followed by egg yolks and continue to knead. Then form to make patties/cakes. 4. Add 1 tbsp of olive oil to pan over medium high heat. 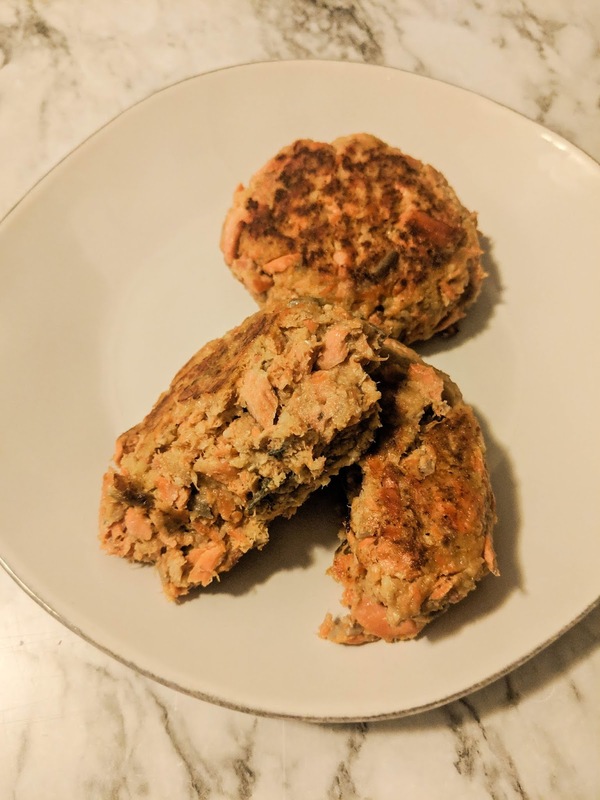 Cook salmon cakes 5-7 minutes per side, to desired doneness. 1. Preheat oven to 375. Wash brussel sprouts and cut bottom portion off. Remove the outer few leaves and discard. Slice brussel sprouts in half lengthwise and put in a medium sized bowl. 2. 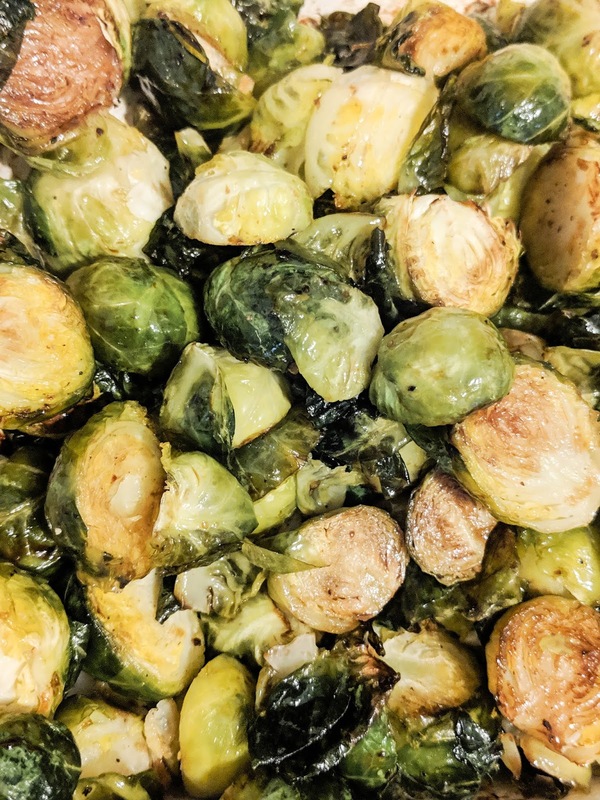 Drizzle EVOO, salt and pepper on brussel sprouts and gently toss. 3. 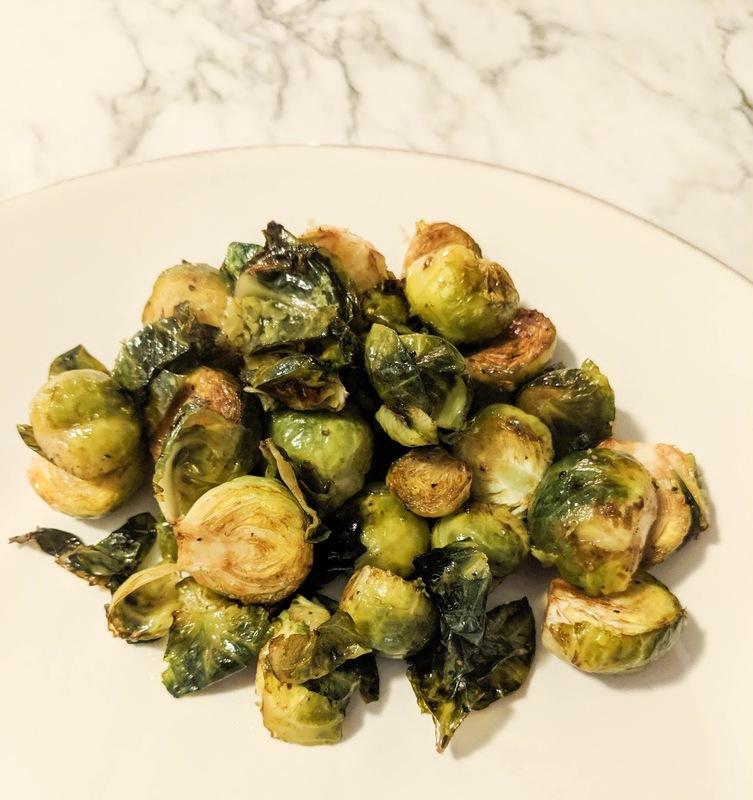 Spread brussel sprouts on sheet pan (lined with foil for easy clean up). Drizzle balsamic vinegar over sprouts. 4. Roast in oven for 30 minutes, stirring every now and again.